The popular outdoor brand Fjällräven from Scandinavia with its distinctive red polar fox in the logo stand out with their unmistakeable design style and the incredible quality of their materials, finish and products. At Fjällräven it is a general rule that "anything that isn't necessary is wasteful", and that is where their clear design comes from, without any unnecessary features, a clean style that sets Fjällräven apart from many other outdoor companies. The simple elegance of some products has achieved recognition, popularity and even somewhat of a hype far beyond the outdoor scene. The Vidda trousers and the Kanken backpack, for example, are available in more than 20 countries across the Americas, Asia and Europe, and their popularity remains unwaveringly high. Fjällräven is still not a brand that tries its hand as a sports brand or everyday fashion, but sees itself completely as an outdoor brand through and through. It stands for functional design and orientates itself on the rough conditions in the Scandinavian Highlands. Clothing that can withstand weather fluctuations, downpours, gusts of wind and hot days in the far north is well prepared to handle any trekking and hiking regions in the world. One elemental part of the Fjällräven design process might seem a little strange. Of course the Scandinavians are very conscious of creating environmentally friendly and socially responsible clothing, sleeping bags, backpacks, bags and accessories as well as constantly optimising their production processes in relation to this. Another important aspect of Fjällräven products is their durability and longevity thanks to wonderful materials like G-1000 as well as an excellent finish. The makers at Fjällräven do not however begin making new outdoor jackets or outdoor trousers because there is a lack of durability or stability in outdoor clothing, but first and foremost for a new sense of style. Once the design and style of outdoor clothing has been the same for years, many outdoor enthusiasts look for something new. Fjällräven tries to always make their designs as timeless as possible, so that outdoor enthusiasts will be happy to wear them for as long as they are needed. To put it more simply: "Fjällräven clothing is a purchase that lasts a lifetime." In the 70s, Fjällräven developed the so-called "Fjällräven weeks" in Lapland as a meeting point for outdoor enthusiasts, whom Fjällräven brought closer to the beauty and sporty nature of the Nordic wilderness. 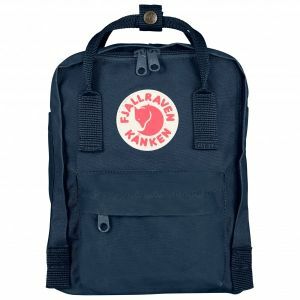 The Fjällräven Classic Event began in 2005, which brought in over 2000 outdoor enthusiasts to a hillwalking event which allowed them to get together and mingle out in nature. The Annual Fjällräven Polar Event is a special dog sledge adventure. 20 selected people who don't have any deep rooted knowledge or experience in living and surviving in the snowy and ice cold region of the Northern Arctic Circle learn how to work with special equipment, as well as how to deal with the extreme wintry conditions. Fjällräven demonstrates with this, that virtually anyone can take on an arctic adventure in the most extreme conditions with the right know how, high quality and efficient equipment as well as the right outdoor clothing by Fjällräven. It quickly becomes clear how important it is to select the right outdoor equipment for demanding outdoor activities in the snow and ice.